There are a number of drastic changes at the Thai borders this month with the clap down on Thai visa abuse in Thailand. The date has been set for the 12 August 2014 that all land border checkpoints will become more strict. The first changes have been reported from the border as follows. 1. If you have had a visa on arrival before and have done it twice back-to-back then Thai immigration is looking at turning you away at the border and to enter Thailand with a proper visa. This has already been reported in the Bangkok Post that many South Koreans are being turned away as their visa on arrival is for The tourist visa application process has also become more strict with many Thai embassies now limiting your tourist visa applications to 2 back-to-back visas and no more. So the border crossing is no more than 2 visas on arrivals after each other and as stated the embassies now only do 2 tourist visas without wanting to issue one again. Consider applying for the correct visa and extending your Thai visa at Thai immigration in Thailand as it is only going to become more difficult. 2. Thai immigration is now looking at blacklisting people who overstay their visa in Thailand. The proposal has been submitted to the Ministry of the Interior for approval. If this is approved then an overstay might get you banned from Thailand. The issues of overstay and deportation has become a major issue to immigration and clearly they will be changing the rules and making things even stricter in the new year. Apply for a property retirement visa or marriage visa if you qualify for this as the tourist visa are clearly on the chopping block for visa abuse. As stated above you need to look at obtaining a proper visa and also getting this visa extended in Thailand for 12 months. 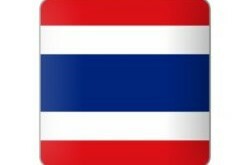 From here it is only going to get tougher to stay in Thailand with the incorrect visa or staying on visa runs. 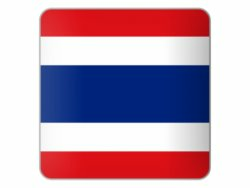 “If you want to know if you have been blacklisted then simply apply for a Thai visa in your home country. If you have been blacklisted they will simply deny your visa for this reason.